A robber who attacked elderly women in their own homes, including an 87-year-old he beat black and blue, has been jailed for life. Lee Roberts struck five times either side of New Year knocking at the doors of pensioners and bundling them inside when they answered. His most shocking raid came on 20th December in Bosworth Drive, Chelmsley Wood, when an 87-year-old woman suffered nasty facial injuries when shoved against a radiator and then dragged from room to room as he made demands for cash. The 33-year-old left her with a cushion tied tightly across her face as he fled with £500 cash from a bedroom wardrobe. He went on to steal a TV and loose change from a 73-year-old woman in Stonebridge Crescent, Solihull, on 2nd January and snatched a 91-year-old woman’s pension after following her home to Colesbourne Road on 4th January. Three days later Roberts grabbed a handbag from a pensioner when she answered her door in Berkeley Road, Hay Mills, and also ransacked a dementia sufferer’s flat in Hob’s Moat sometime between 4th and 7th January. Roberts, of no fixed address, was convicted of manslaughter in 2004 when a 90-year-old man he attacked in his Hobs Moat home later died in hospital. He was released in 2011 but when ‘rush robberies’ with Roberts’ hallmark emerged again late last year detectives identified him as a possible suspect. Intelligence checks linked him to a Vauxhall Astra that was spotted by neighbourhood officers in a supermarket car-park in Olton on 8th January. And when detectives examined its on-board tracker system they discovered the car had been parked outside each victim’s address at the time they were attacked. He went on to admit four counts of robbery and one burglary and at Birmingham Crown Court yesterday (4th July) was jailed for life. He will have to spend at least six years and nine months behind bars before parole can be considered. 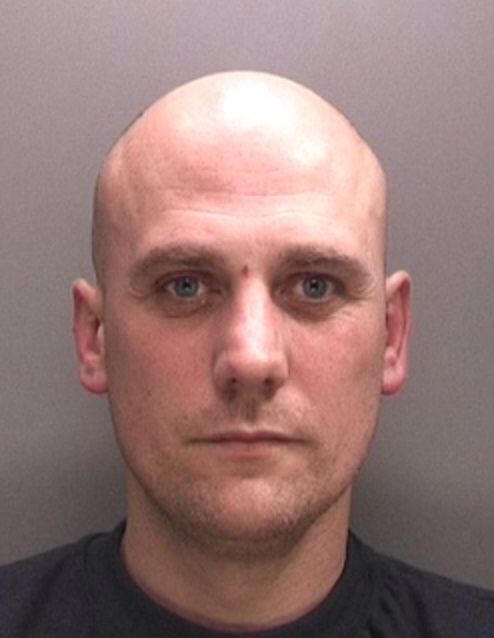 Investigating officer DC Arran Cox from Solihull Police CID, said: “These were terrifying ordeals for his victims: they were threatened, assaulted and had to watch as their homes were ransacked.